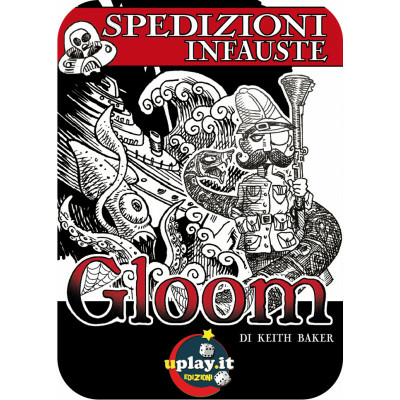 The Gloom: Unfortunate Expeditions expansion adds one player and 55 cards to the game. 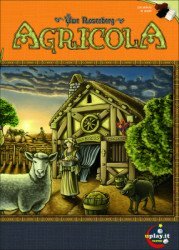 Here is a description of the expansion from the publisher: In the Gloom card game, you make your eccentric family of misfits suffer the greatest tragedies possible before helping them pass on to the well-deserved respite of death. Just mix the 55 transparent cards in this set together with your copy of Gloom to add morbid new Modifiers, Events, and Untimely Deaths, and a new family of intrepid explorers who've faced misfortune across the globe. These days Colonel Bumpersnoot is really more of a bargain hunter, while Lady Bumpersnoot struggles with high society -- but she always loves to have guests for dinner. Their Towering Treehouse is included as a Residence card to use with the Unhappy Homes expansion. Unfortunate Expeditions introduces expeditions into the game. Only one expedition can be in play at a time. An expedition's rules affect all players as long as it remains in play. When you play a modifier of untimely death that has an expedition symbol, resolved the immediate effects of the card, then replace the current expedition with the one shown on the card. Some cards also have special effects that occur if an active expedition is already in play when the card is played.